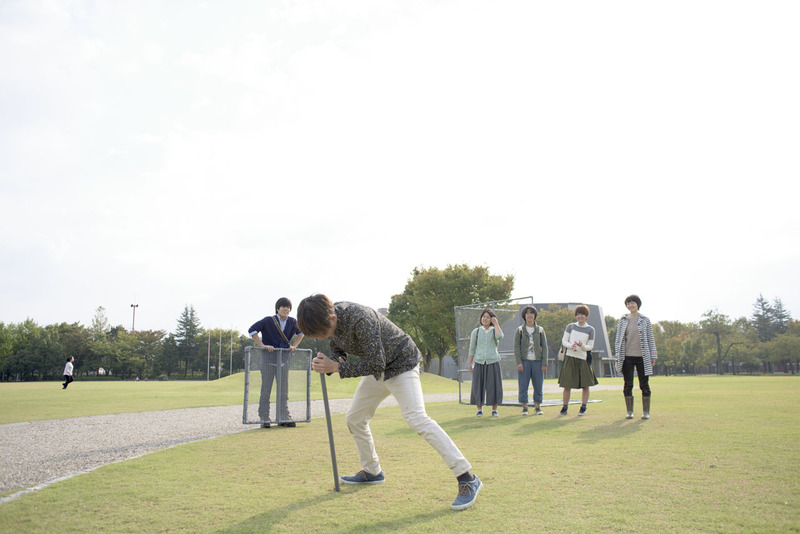 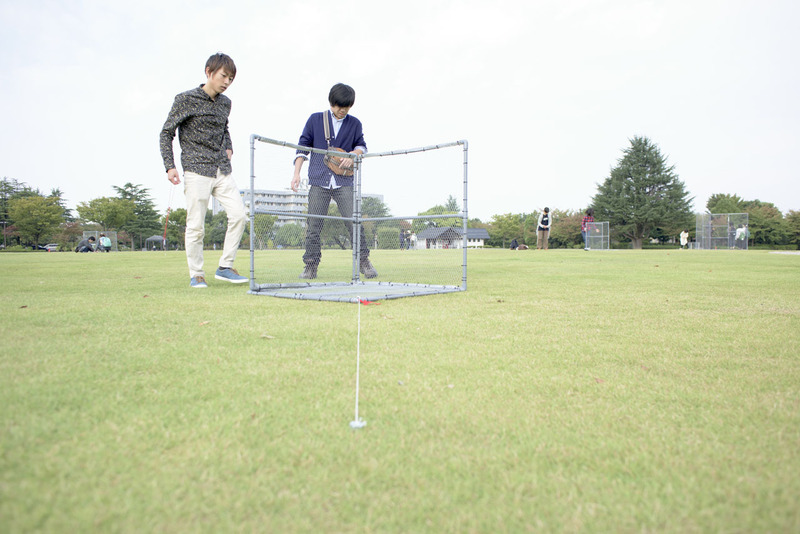 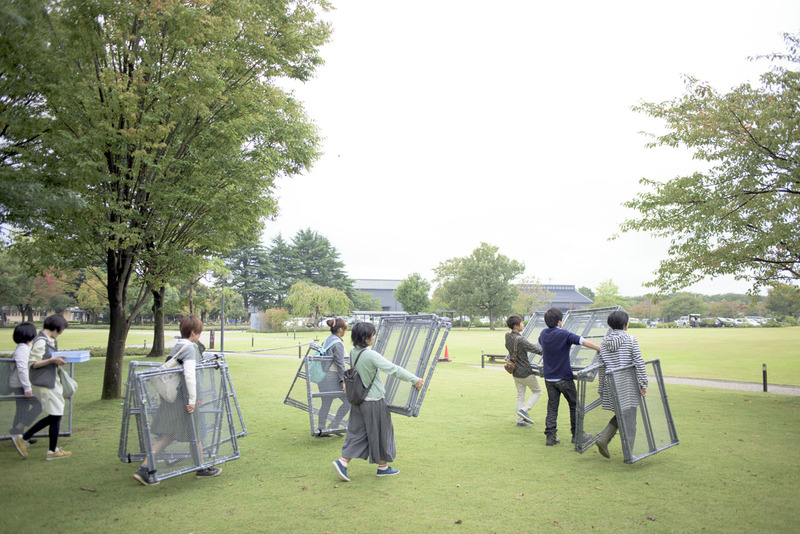 For Kagayaki Cluster, 22 sets of corner reflectors of varying sizes were set up within close range in one park, to produce a new expression that was based on the motif of a star cluster. 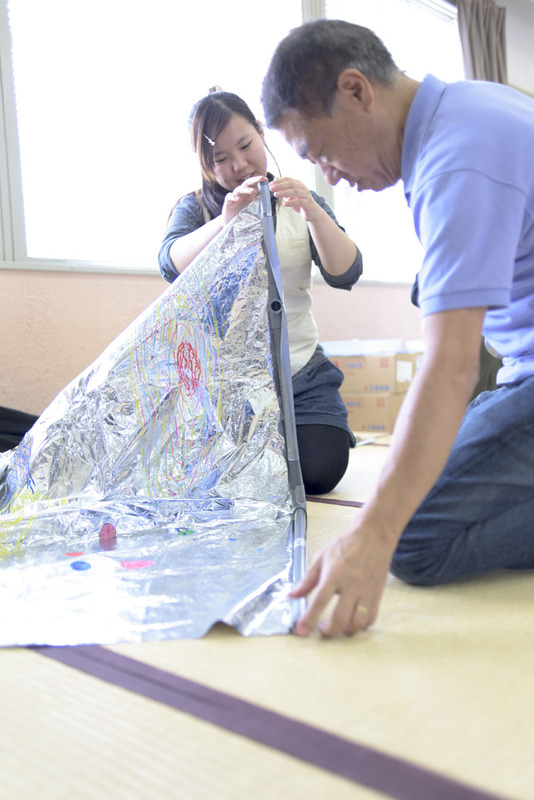 A lecture and a workshop were also held for participants. 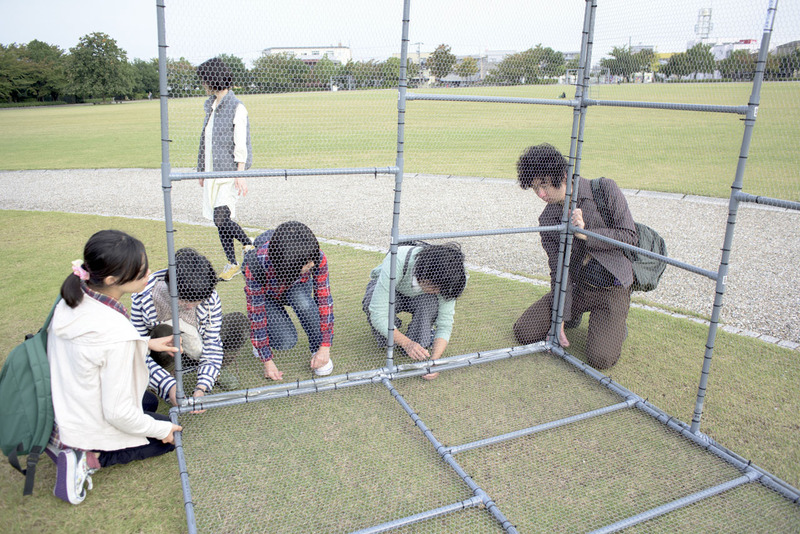 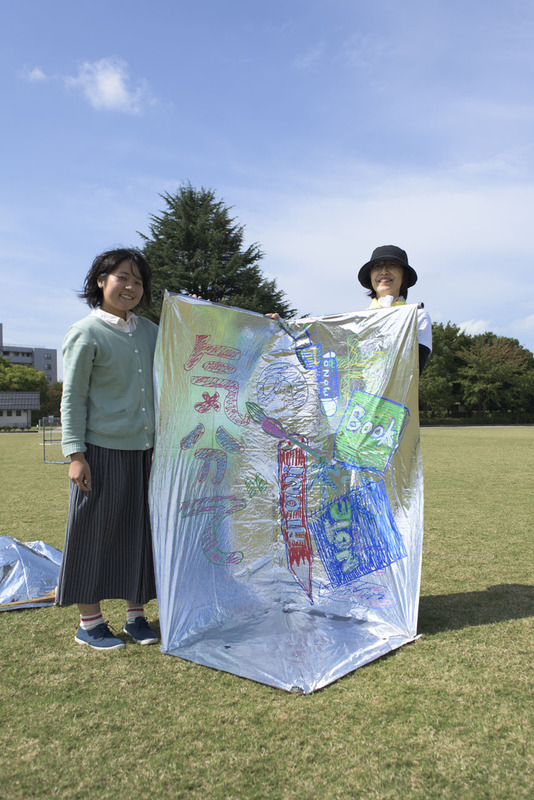 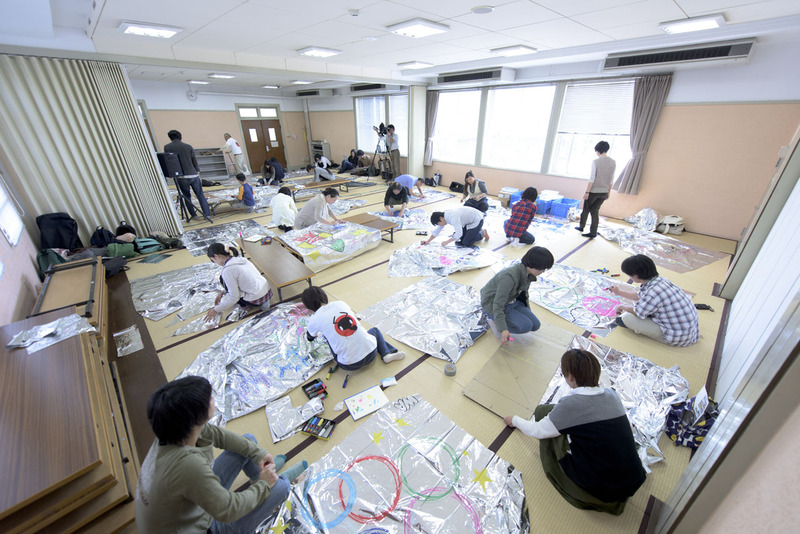 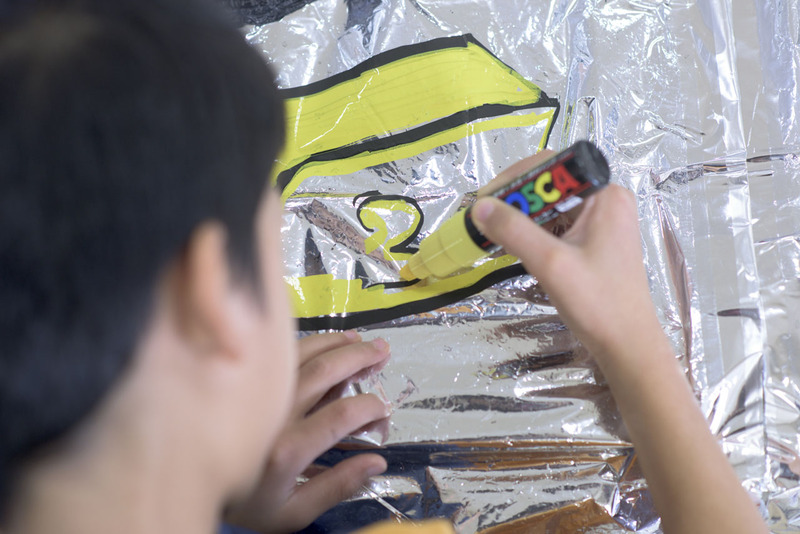 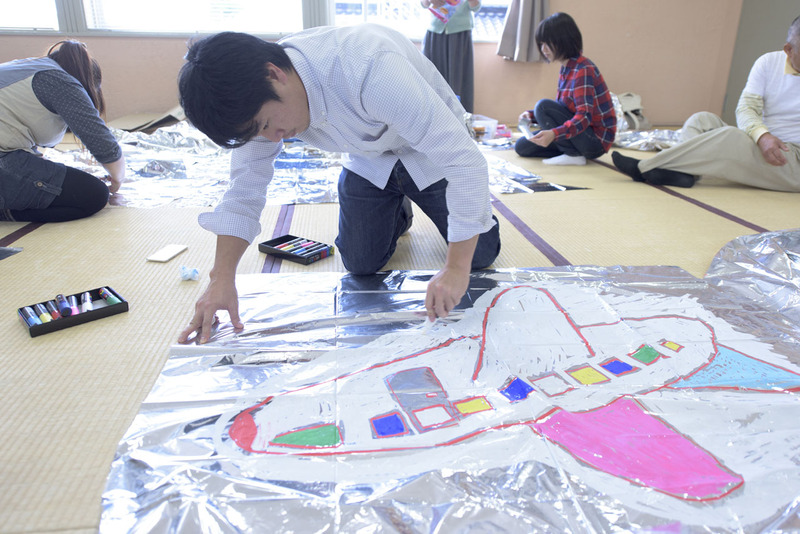 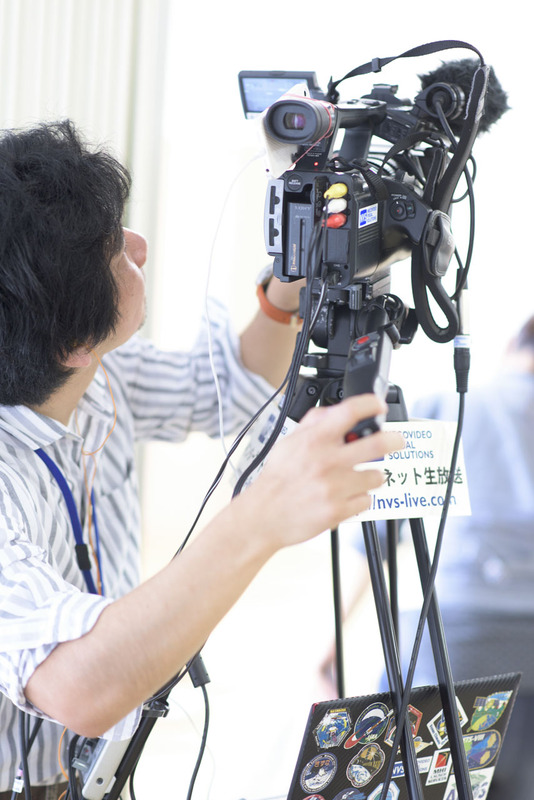 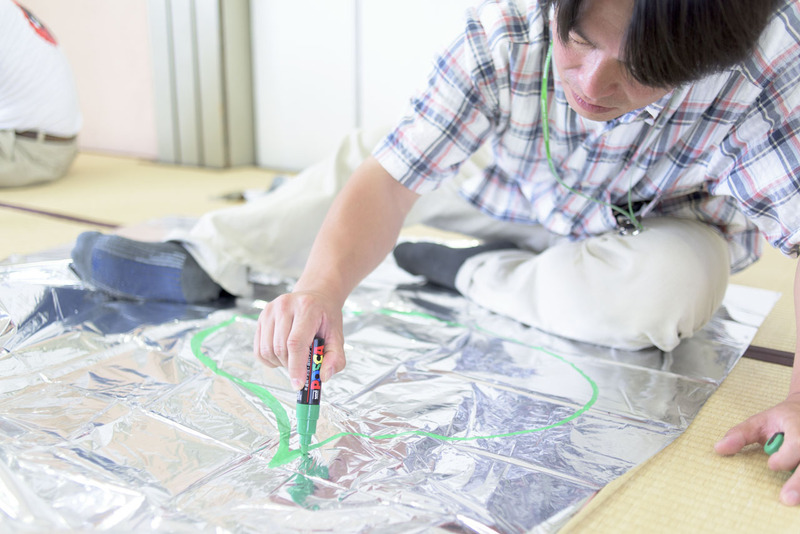 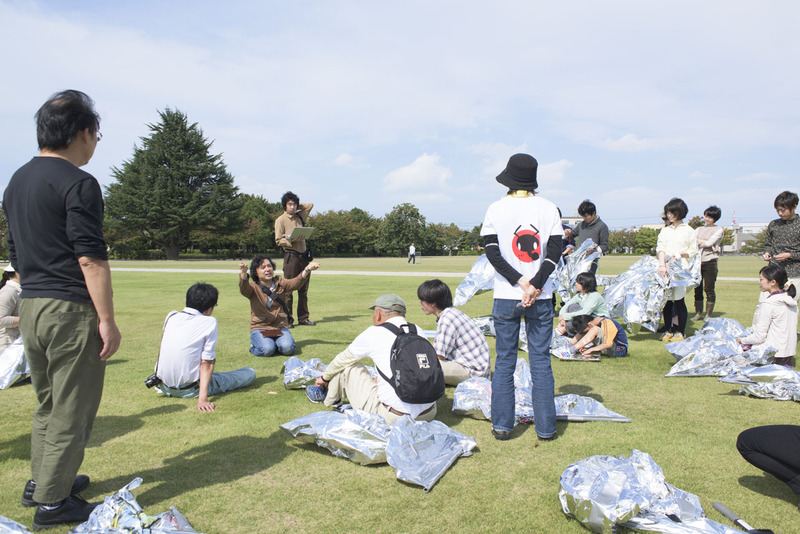 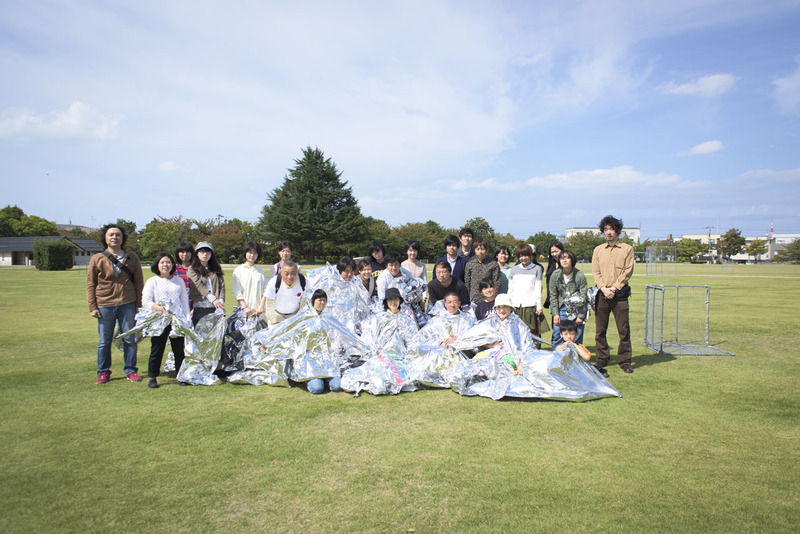 In the workshop, the participants drew pictures on the surface of aluminum-metalized film with a pen, while in the park, the setup of the corner reflectors was recorded from above using a drone prior to the actual imaging. 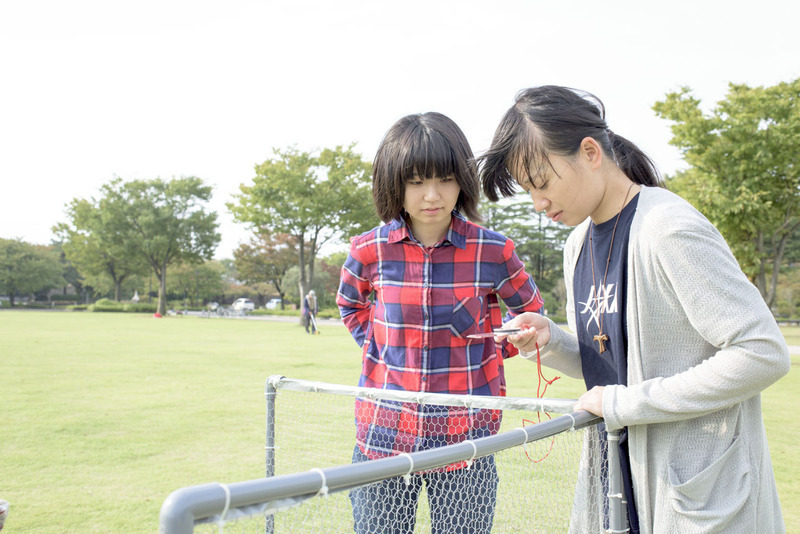 This was a period when we were experimenting with incorporating such activities that enhanced interest in the radio waves that reach the ground from space, and in the artificial satellites.